When you read the first bit of the title above, you might have thought that it was a concern for La Grange, IL residents. The fact of the matter is that it’s really intended as an attention getter with how important this point is when it comes to buying or selling a home in and around the La Grange, Illinois area. 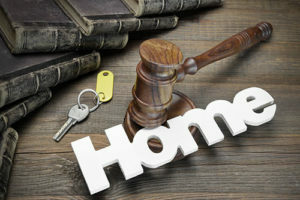 Although it’s not required for someone selling their home in La Grange, Brookfield, Hinsdale, Western Springs, La Grange Park, Chicago or ANYWHERE in the State of Illinois for that matter – to use an attorney (lawyer) to conduct their real estate transaction, you’d be making a mistake not to. Selling Property Around La Grange IL? Learn Why a Lawyer is Crucial! When it comes to selling your home in the State of Illinois, the responsibility to prepare the documentation that properly transfers all “real property”, meaning the land and all existing structures therein (ie the house, garage, shed, etc. ), falls upon the seller. Correct, the home owner is responsible for the paperwork. This ranges from the deed, title, transference of home warranties, liability for building permits, any encumbrances that might be on the property (other people’s property that crosses property lines), access rights (very common with utility companies), etc. The buyer doesn’t have to concern themselves with any of it, as long as they are in agreement with the paperwork, and are willing to accept liability for anything the seller may have overlooked. You can imagine that things can get a little tense when it comes down to the nitty-gritty. FEAR NOT! The solution, as you’ve probably guessed, is to hire a real estate attorney. In the Chicagoland area, from La Grange to Rockford and all points in between, it’s common practice that a lawyer who considers themselves a “real estate attorney” will charge a flat rate for their services. Following the standard real estate contract, there is specifically an attorney review period. During that time, your attorney will review your real estate contract for anything that may have been missed during the negotiation process, negotiate and advise you on any home inspection issues that may arise, prepare the deed and other necessary paperwork needed to transfer your process, and represent you at the closing table in order to make sure that everything goes as expected. Should anything go awry, they are there as your representative, taking on the responsibility of fixing any issues that arise. Buying Property in or Around Our Great Town of La Grange? Hopefully, it’s obvious that a real estate attorney can be invaluable when it’s time to sell your home. You may be wondering if it’s required when it comes time to buy. Much like the selling side of the transaction, buyers are not required by law to have an attorney represent them, HOWEVER, they are strongly encouraged for you as well. Why? While a buyer’s attorney will not be preparing the paperwork, they will have a say in some of the terms of the transaction. Your lawyer will make sure that there is no extra language that does not benefit you in the process of the transaction, or put additional responsibility on you, as the new homeowner, immediately upon taking possession of the property. Much like the seller’s attorney, your lawyer will review the contract in full, advise on any home inspection issues, and will review all documents at the closing with you. Self-represented? Without getting contestive, something to note is that the average closing packet of documents is 80-100 pages. If you aren’t legally represented, you’re responsible for every word. No matter where you may live in Illinois, whether Barrington or Hinsdale, you owe it to yourself to seriously consider hiring a real estate attorney to represent you in your transaction. Don’t know one? No problem! Nancy Miller of Coldwell Banker Residential Brokerage in La Grange, IL has you covered. Whether you are selling your current house, or buying your next home, Nancy can refer you to a lawyer that will keep your best interest at the center of their focus.